It’s the Shuttle Cast, kind of. We talk news of the week from MotoringFile and get more than a little technical talking about iPhones, Android and how to best use them in your MINI. We mentioned the Craven Speed Bluetooth OBDII connector and the Dash Command iPhone app. Keep those Ask Chad questions coming in! Remember to send them over to [email protected] to get them answered on the show. Chili Red S hardtop, 16″ ‘free’ wheels (4 choices! ), ‘free’ cloth seats (not a fan of leatherette), Xenons, HK, and traction control = $25,500. Me? I’m scraping up the extra $500 to get an ‘S’. Sell some stuff on EBay like Todd suggested. I’ve driven our R50 for 10 1/2 years now — I want (no, I NEED) the extra power of an ‘S’. I’m right there with you Greg. But my must have list has more stuff on it than yours does. My cheapest S come in at 27k, 27,500 if I choose a metalic paint. Good luck! On the topic of voice commands on ’13 cars from Oxford — I have a new Coupe that was built in July and I have the voice commands. Now, I do have Connected, so that may make a difference. Also, they may have stopped adding after a certain build date ( but I use mine all of the time so I’m glad it has the feature). 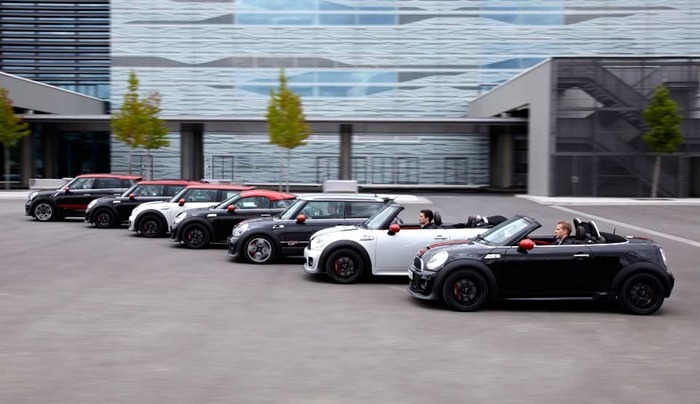 As the plot thickens, it appears that voice control is only gone from the hardtops aka the hatch – both Cooper and Cooper S.
2013 Coupes, Roadsters and Countryman all appear to retain the voice control. I don’t get it.